To celebrate the Team USA vs. 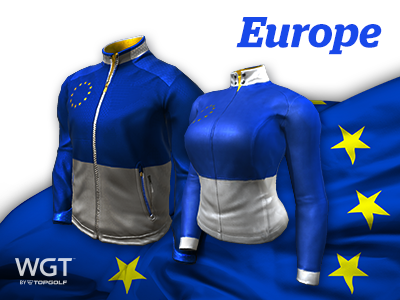 Team Europe spirit of the weekend, we're giving you a free Country Flag ball effect today, 9/30 just for playing WGT! 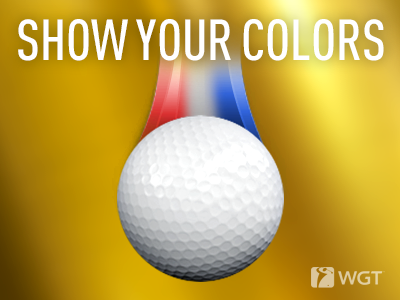 While you're cheering for your side at Le Golf National, use the Country Flag ball effect to represent your country colors on the course. We're giving you 50 free hits of this ball effect just for logging in to WGT this weekend, then you just have to turn on the effect (find the magic wand icon in-game!) and select your country. Your free gift will be added automatically to your inventory, just click the ball effects icon (magic wand) in-game to turn it on or off. And whether there's a big sporting event going on or not, you and your WGT friends can fly your country colors -- they make great gifts! Find them here in the WGT Pro Shop. *Special offer for WGT players who log in and play on 9/30/18, get Country Flag Ball Effects (50 hits) free. 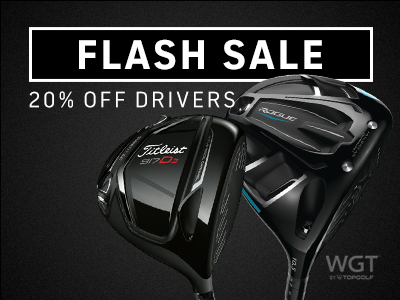 Right now, get 20% off drivers in the WGT Pro Shop during this flash sale! Take advantage of today's flash sale by logging on to WGT and buying any virtual driver (up to Level 80) for 20% off the regular price. If you're looking to add distance and accuracy to your drives (while saving some credits), don't miss this limited time offer. *This special offer applies to all virtual drivers up to Level 80, and is available now through 9/30/18. Available on wgt.com and WGT Golf Mobile. 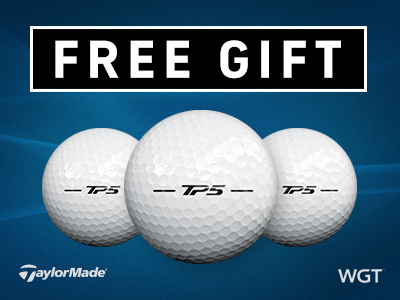 Get 3 free TaylorMade TP5 virtual balls today when you buy 2,000 or more WGT Credits! 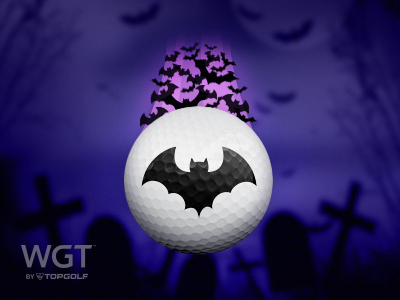 Close out the month with some WGT Credits and some upgraded golf balls to improve your game. These popular TaylorMade TP5 balls give you more control, distance and a slower swing meter to lower your scores. Note, the free TaylorMade virtual golf balls will automatically be added to your inventory but not automatically equipped. To use them, just open your Equipment and equip the new TaylorMade balls from your inventory. *Special offer for players that buy 2,000 or more WGT Credits now (through 9/29/18 at 10:00 AM PT) and get 3 TaylorMade TP5 virtual golf balls (L47+). Team USA or Team Europe? While you're following the action in Paris this weekend, show your support for Team USA or Team Europe with a new jacket from the Pro Shop! 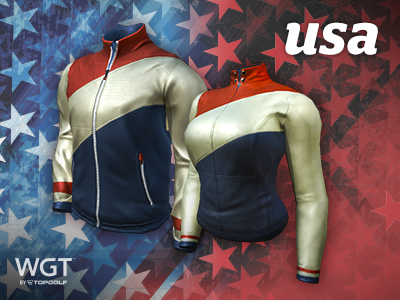 Gear up your WGT Golf Mobile avatar with this sporty new outerwear in either red, white and blue OR blue and yellow. Both jackets are available now, and you'll get both male and female versions to match whichever avatar you have equipped when you purchase. And be sure to log in to WGT (on either wgt.com or WGT Golf Mobile) on Sun, 9/30 to get a FREE Country Flag Ball Effect! We've just released some updates, including new clubs and a few things for all you Halloween-lovers! 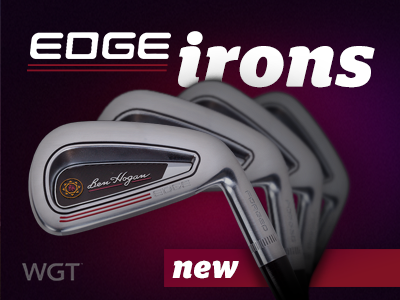 Check out the new Ben Hogan Edge Irons on WGT -- a great upgrade for mid-level players that want to improve their game. Get more distance and spin from this classic name in golf, available in the Pro Shop at *Level 15* and *Level 37*. "Heeeheheehee!" Get into the Halloween spirit with the new Halloween Ball Effect! Add a spooky purple vapor trail with flying bats, plus a cackle from our in-house WGT witch to all your shots for the perfect amount of festivity. It's only here for a limited time so stock up now while you can, available in 100 and 500 hit options! 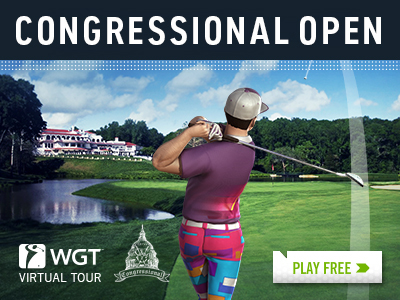 Starting 10/1, compete in the Congressional Open as part of the 2018 WGT Virtual Tour. Post your first round score between 10/1-10/26 to qualify for the single-play second round (10/27-10/31), and the top 70 combined scores in each Pro-Champion tier will split the total purse prize of 100,000 WGT Credits. - For all you Gmail users that weren’t able to invite friends using your Gmail account, please try it again, we’ve now fixed that up for you! - We’ve brought back the missing “Purchase” button on Elite Collection items. Compete now through Fri, 9/21 with your country club for your chance to win these cheers-worthy champagne glass tee markers and flags. Stay classy this week to win these tees and flags for your club, plus other in-game rewards like Course Builder currency for the top 500 clubs to create custom courses. CC Event #82 runs 9/20-9/21 with multiple 4-hour Clashes, so be sure to play as many games as you can for your club and keep your eyes on the leaderboard. This weekend only, get 20% off MAX clubs in the Pro Shop! 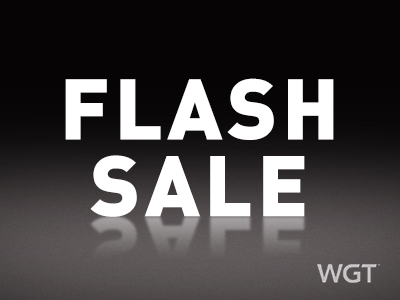 Don't miss today's flash sale – just log on to WGT to buy any MAX virtual club (up to Level 75) for 20% off the regular price. *This special offer applies to all MAX virtual clubs up to Level 75 (excluding the gold MAX CC Putter) and is available from 9/14/18-9/16/18 at 11:59 PM PT on wgt.com and WGT Golf Mobile (iOS, Android and Amazon). 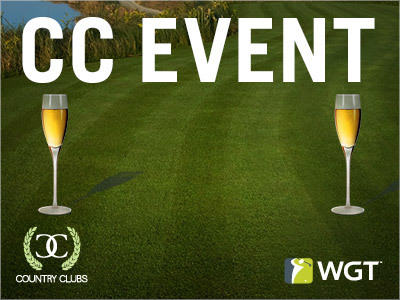 Is Your Club This Week's CC Event Champ?